1. 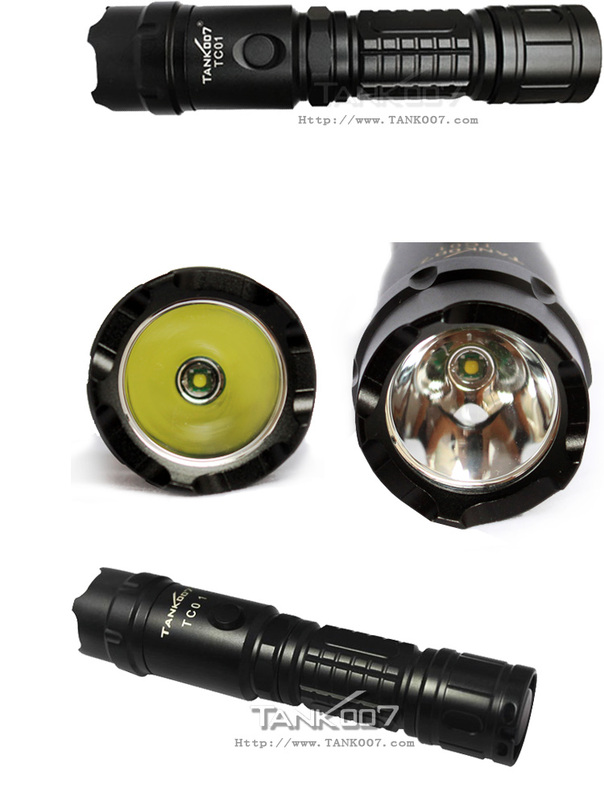 TC01 is a high power rechargeable police flashlight of scientific design. It has excellent workmanship, which is suitable for police, searching, outdoor and camping. 2. The first flashlight with waterproof metal waterproof recharging port, safe and reliable, graceful and natural. 3. Metal button switch in the head part, practical and wearproof. No color difference from the flashlight body color. 4. Square screw thread is thick and strong. It won't be worn. 5. User-friendly design of breach next to the lanyard hole, which is favorable for the flashlight to tail stand. 7. With diffusers specially designed, it can work as a camping lamp or signal stick. Click the button below to add the TANK007 rechargeable led flashlight portable high power flashlight torch self defensive led torch TC01 to your wish list.